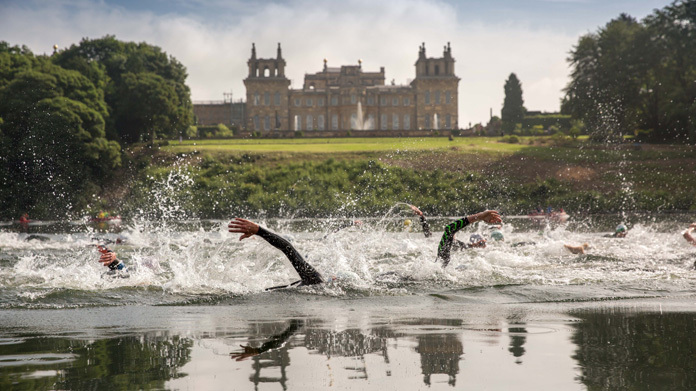 The IMG team had a blast hosting media at the Bloodwise Blenheim Triathlon last weekend – otherwise known as the most beautiful triathlon in the country. Set in the grounds of the UNESCO world heritage site in Oxfordshire, the triathlon saw 7,000 people take to the water, saddle and road to raise money for the blood cancer charity. The sun even came out making for simply stunning race conditions! The team helped capture some beautiful imagery of the event and even had the chance to meet a few sporting legends, including Professional Cyclist for GB, Andy Tennant. As well as that, the team got to catch up with a couple of the case studies who were all taking part for some pretty inspiring reasons. One of our favourite characters was a 70-year-old man who was getting ready to complete his 200th triathlon after battling with osteoarthritis for three years. The picturesque photographs landed in The Daily Telegraph, the iPaper and the Evening Standard amongst many others. And our pre-race case studies got everywhere with a METRO feature just one of the highlights. After a sun-fuelled weekend at the Palace spending time with some truly inspirational people, the team are contemplating entering the event year … now where did we put the Lyrca? !